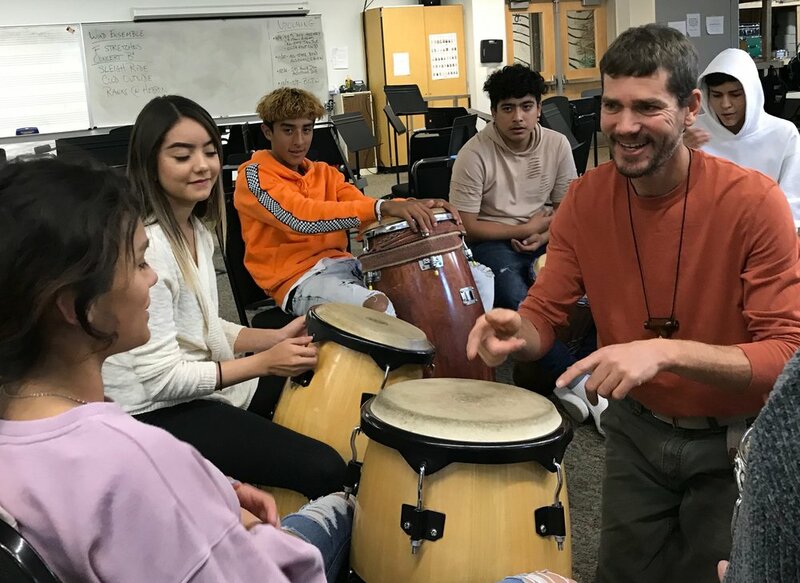 Students from Glenwood Springs High School’s “Why Try” program work with teaching artist, Eric Baumheier, for 6 weeks, 2 days per week. The result is a confident, cohesive drum circle! Drumming is an excellent way to release tension, express emotions, build teamwork, and experience authentic praise for excellent work.